A cruise ship which was hit by an outbreak of a "gastroenteritis-type illness" has returned to Belfast. A number of passengers on board The Boudicca were taken ill with symptoms including vomiting or diarrhoea, a temperature, headache and stomach cramps. Cruise operator Fred Olsen said around 72 passengers had been affected by the virus, out of just over 760 on board. 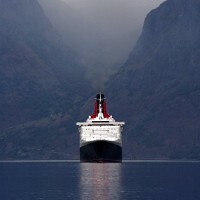 The ship had left Northern Ireland on September 23 for a 10-night Scandinavian cities cruise. Following its return to Belfast, a sanitisation and cleaning programme is now due to be carried out on the ship. Fred Olsen said it had been in touch with guests who have booked tickets for The Boudicca's next scheduled cruise, a 12-night trip to Madeira and the Canaries, to tell them what happened. The incident also serves as a timely reminder that passengers should always make sure they take out cruise travel insurance to cover unforeseen circumstances. In a statement, Fred Olsen said "every precaution" had been taken to ensure the swift containment of the virus and confirmed it had closed a number of public areas on the ship, including the public toilets and self-service buffet. The illness included a sudden onset of symptoms and lasted one to two days. Explaining how such incidents are dealt with on board, the company said frequent cleaning of all areas of the ship is carried out. Any guests showing symptoms of the virus are asked to remain in their cabins, with complimentary room service and in-cabin entertainment, until they are classed as symptom-free by the ship's doctor. The company added: "At Fred Olsen Cruise Lines, the health, safety and wellbeing of all our guests and crew is paramount, and we believe that our systems for preventing the spread of illness on board our ships are amongst the best within the industry."